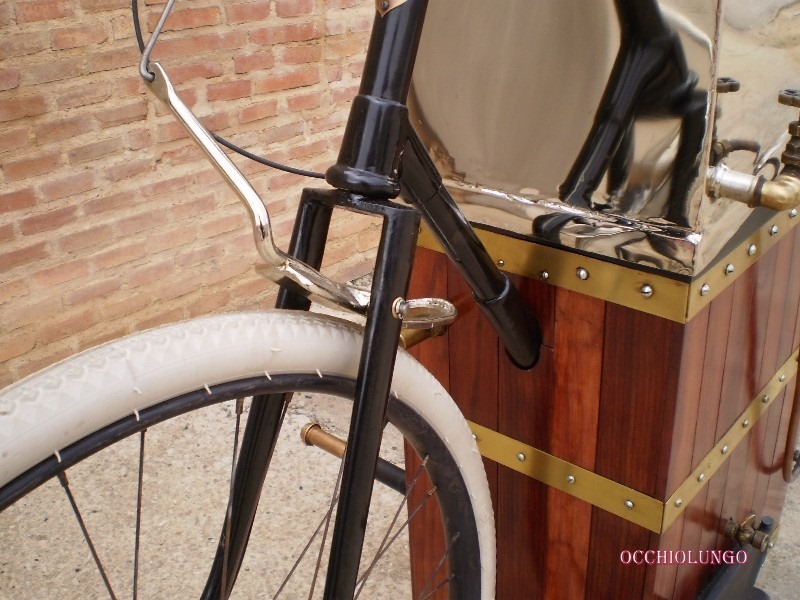 Recently a new replica of Roper’s last bike has been created in Huesca, Spain by Guillermo Ximeno with Manuel Parra and the team at Cometa Restauraciones. Guillermo first started work two and a half years ago, and Cometa was able to display the bike for the first time this week at the ClassicAutoMadrid 2015. Manuel was kind enough to send over several photos and a description of the bike. 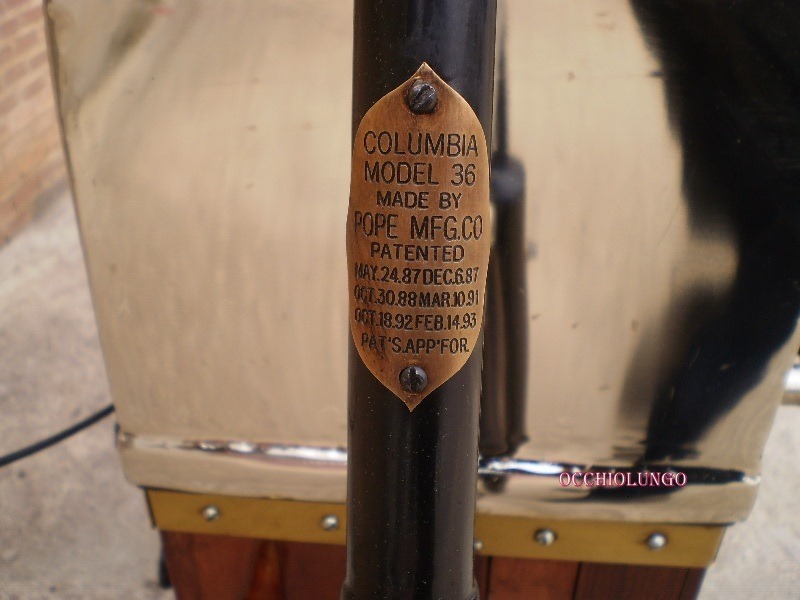 Guillermo began with many original 1896 parts, including a Columbia Pope bicycle frame, seat, fork, handlebar and hubs. The team also sourced a period pressure gage, taps, valves, etc. so that the bike seems very authentic. Many parts were blacksmith and locksmith fabricated and also cast via the Galicia foundries. The photos above show just how well the replica mirrors the original bike. Which is a point that we sometimes overlook. It is much more difficult to make an accurate replica of a machine, or a perfect restoration, than to build a one of a kind custom. 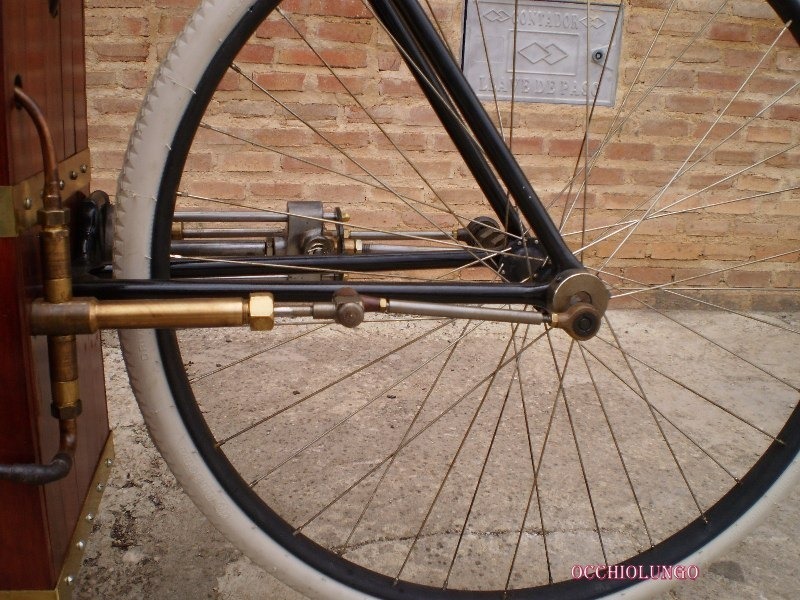 Being correct or incorrect is very cut and dried with these bikes as the original must be replicated exactly or the photos will show obvious deviations. We should applaud the best efforts that result in such perfect reproductions. 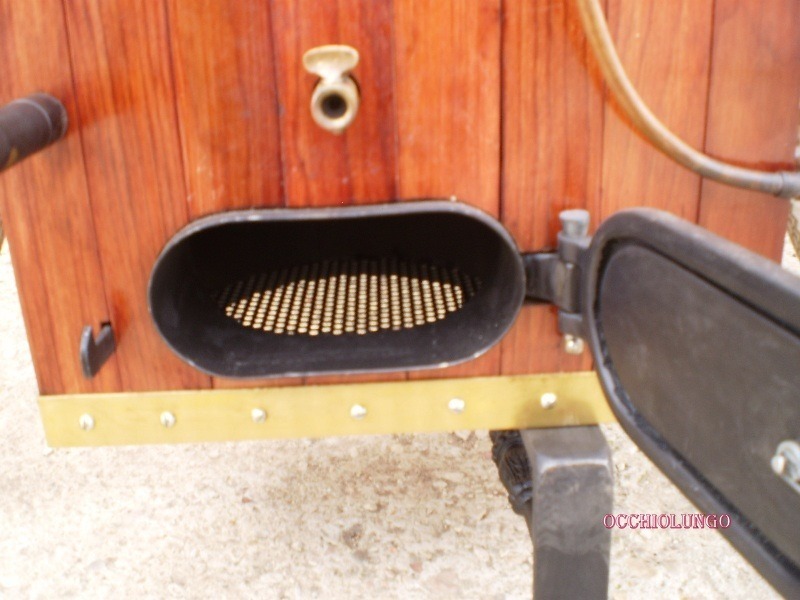 The burner box would be filled with coal, but coke or charcoal will also work. The boiler cannot be seen, but is above, hidden inside the wood. And the plated water tank is atop that. 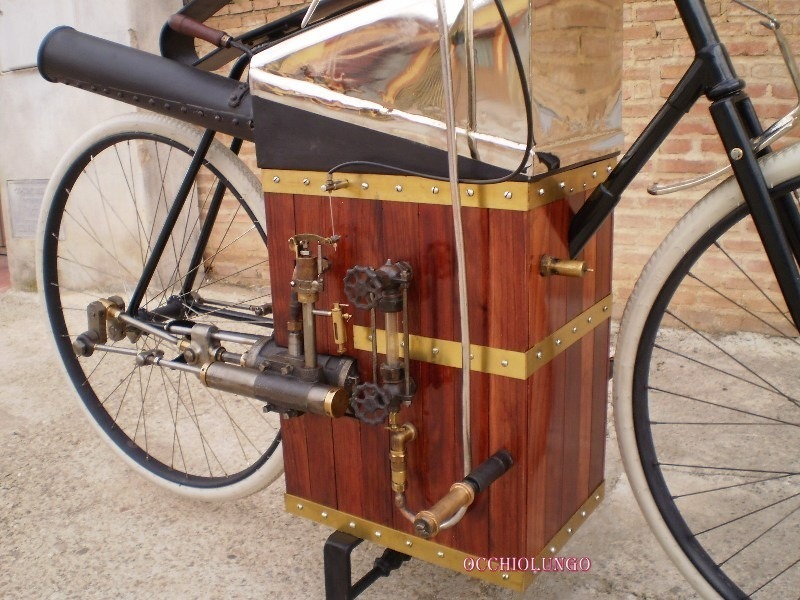 The motor, valves, cranks and other bits are fully functional. Thus far it has been tested using compressed air, but the firebox has not yet been loaded with coal and burned. Cometa is eager to to that, but has the bike for sale and has chosen to let the new owner decide when to fire it up. The fire will lead to some oxidization, etc. that will slightly diminish the bike’s finishes, hence the wait. But OcchioLungo and our readers will of course want to see the machine being used! And hopefully soon we can share that. Water filler, pressure gage and hand pump. The rear wheel is the crankshaft for the motor. The crank can be seen on the right end of the rear axle, with the connecting rods and valve timing rod linking to the motor. Materials are obviously brass, with some iron, steel and wood. Aluminum would have been useful, but wasn’t commonly available back then. On the center left is a regulator to control the steam into the motor (it looks a lot like a steam whistle). 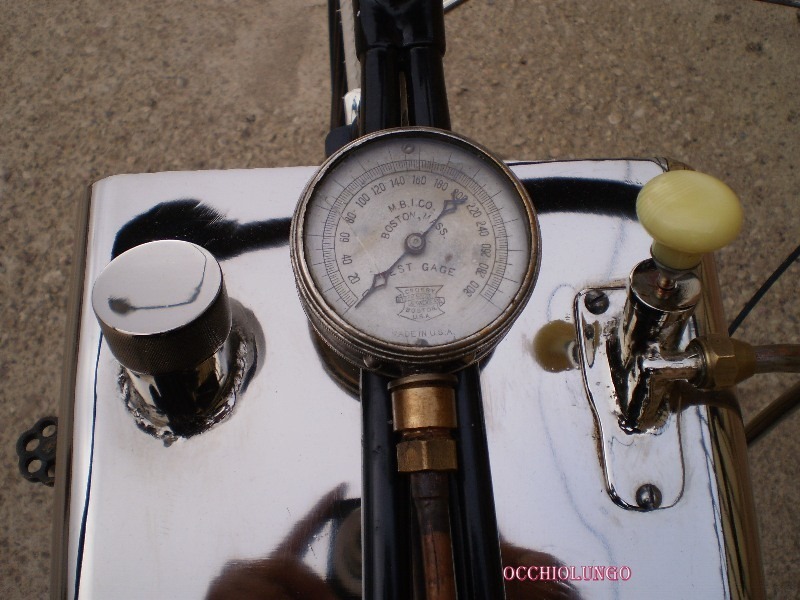 The operating cable can be seen going upwards, eventually connecting to a lever on the right handlebar and the device operates much like a carb on an internal combustion motor. Between the two knobs is a sight glass to show the water level. A simple footpeg is on the lower right. 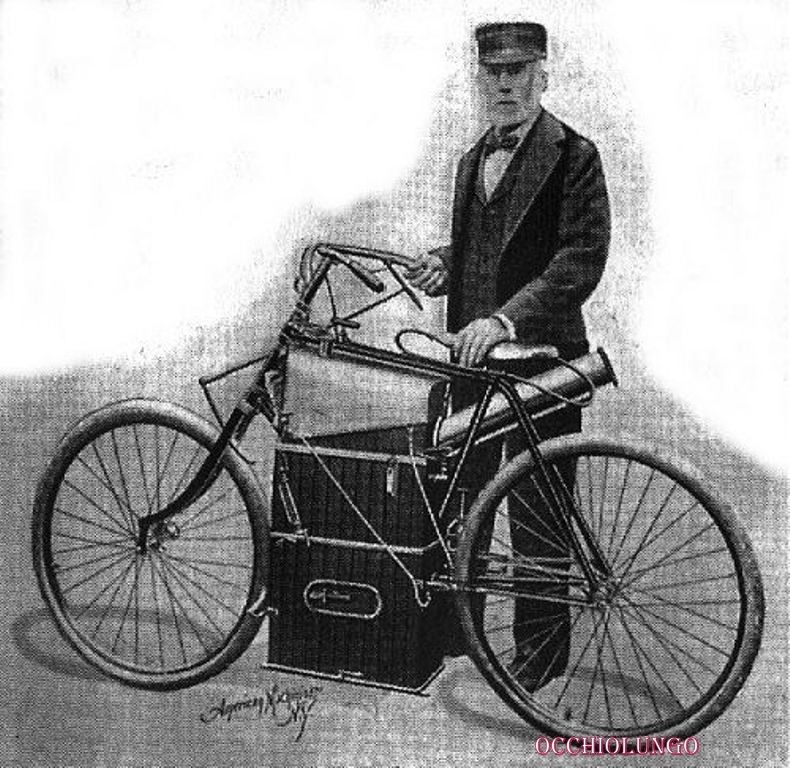 The extension on the front forks was built when Roper found that the bike sat too low, and would high-center on rough terrain. The replica has the same extensions, rather than simply starting with revised frame/fork geometry. As a special addition to this article, here is a photo of the the real 1896 Roper, taken a few years ago with Chip Perry and Coburn Bensen. Thanks to Chip for sending it! Note the the exhaust pipe is set in the low position here. It can be moved up or down to affect how the exhaust gasses flow. There is a great “Pete’s Garage” video on uTube of the replica running. There are also some other videos of that replica being ridden before Pete bought it. It is a good one, but this new Spanish one just might be even better. It’s a great looking piece, but I’d really like to see it go. The real challenge with steam is the boiler. 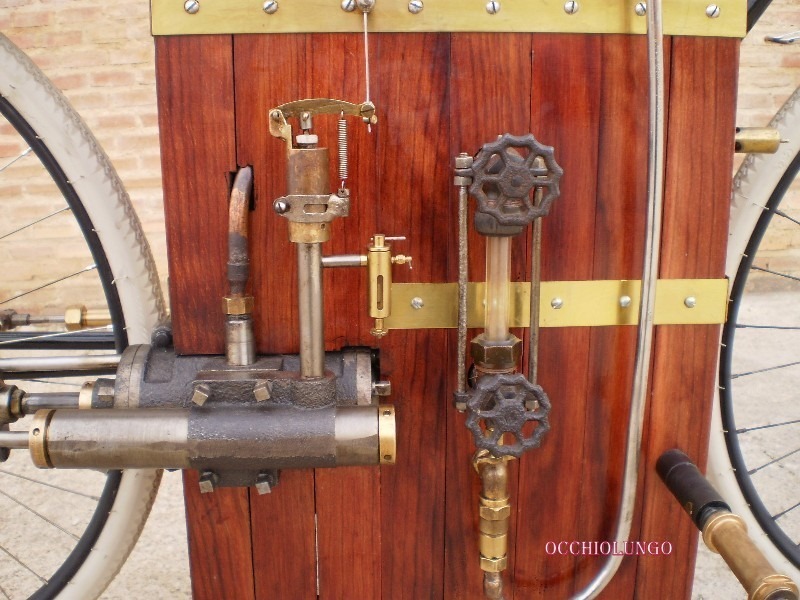 It’s easy to build a steam engine that will turn over on compressed air, it’s a much bigger challenge to build a boiler that produces enough steam to move itself and a vehicle along. I hope we’ll find out. Agreed, I’m anxious to see it being ridden. 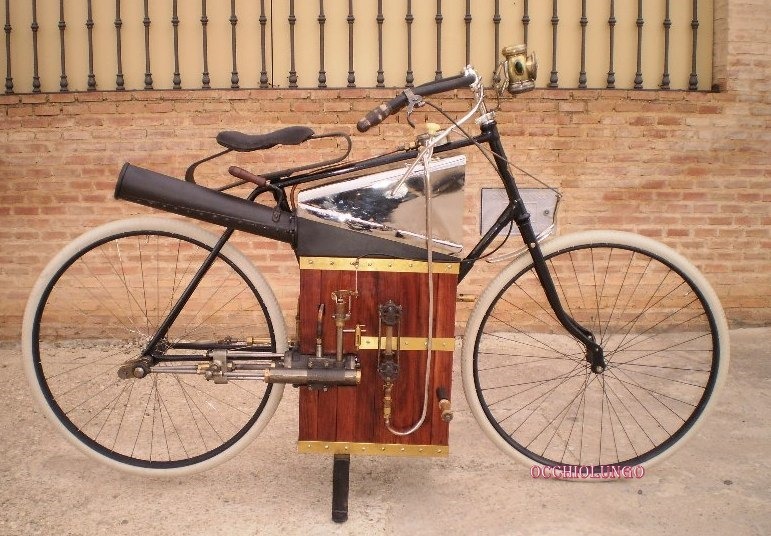 Several replicas like this have been built over the years (at least 3-4 that I know of) and some have worked fine. But a bike is for riding, just as a sandwich is for eating. Hopefully we see it being ridden soon. Hi Lex. 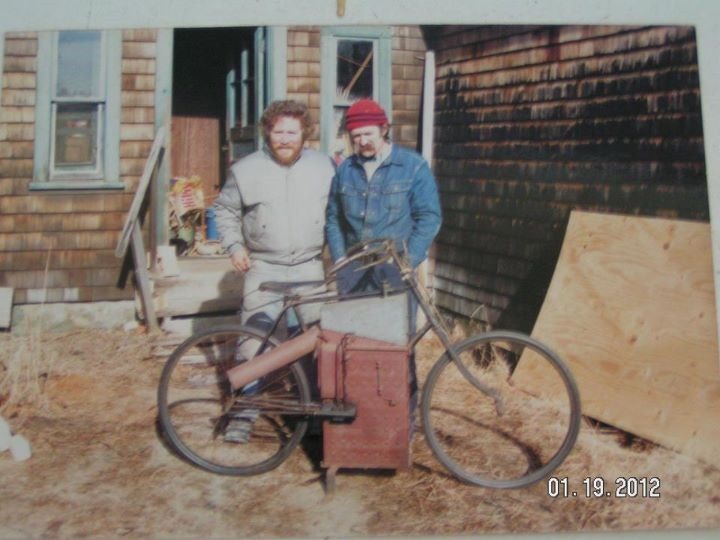 That is Pete Gagan’s bike. 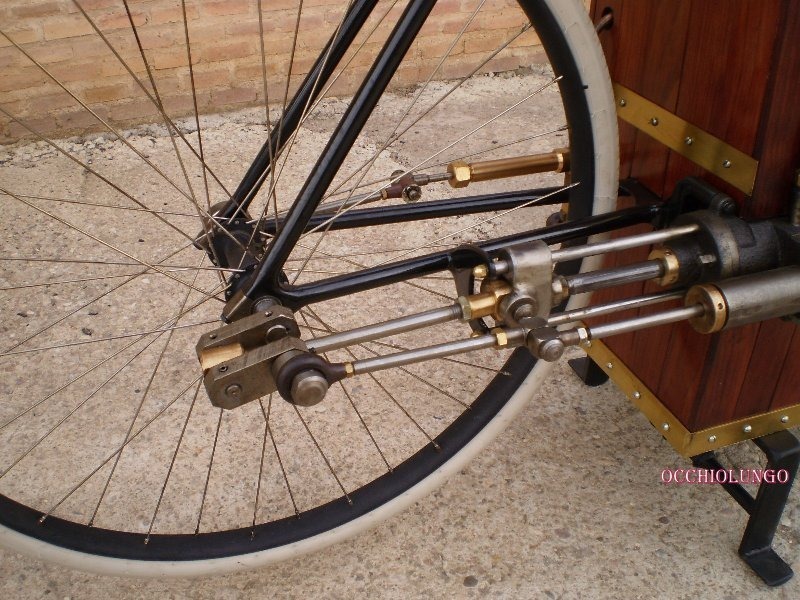 It was originally built by a steam motor guy in the midwest, around a modern bicycle maybe a dozen years ago. Pete bought it and he and Paul Brodie updated it with period items from 1896 so it looked more correct to Roper’s bike. There is also another replica made in the USA, and also at least one made in Australia few years ago too. 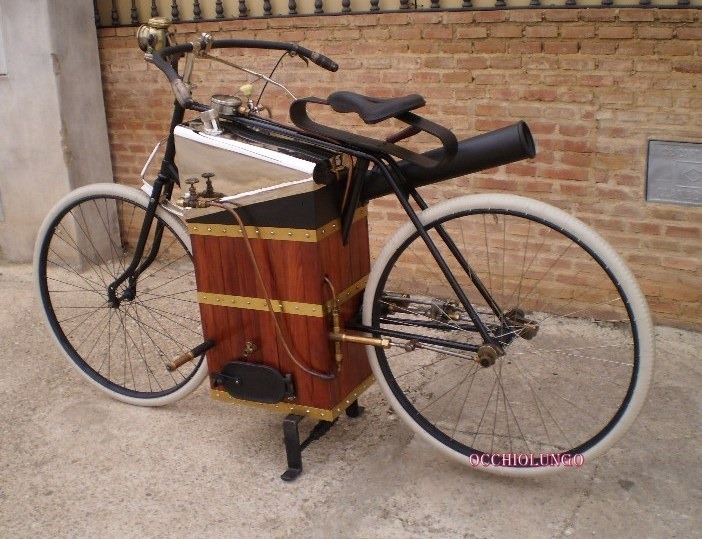 But I’m really happy with the quality of this new Spanish bike. It looks outstanding. I am sure that it doesn’t work. Any video, amy coment. I am almost sure that this bike has been made only to show in a private collection or a museum. There is a video of it running on compressed air. But I don’t see any reason why it wouldn’t run on charcoal and water. 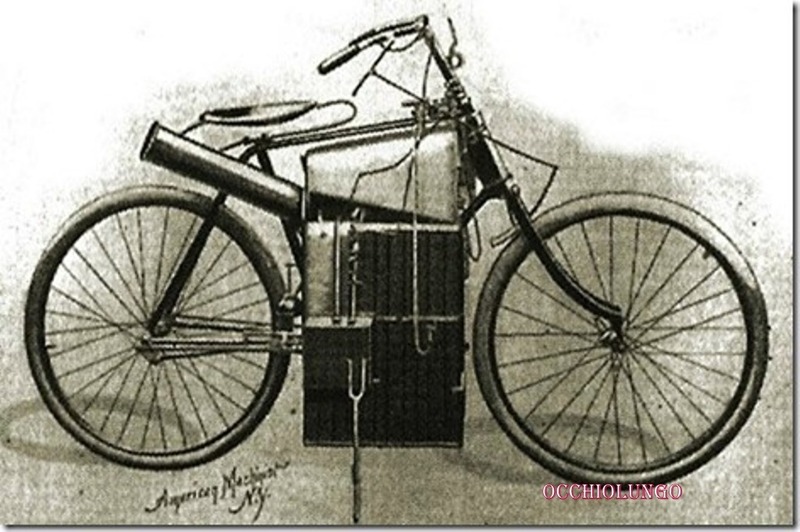 There have been several replicas of the Roper bike built just like this that have run. I saw Pete Gagan’s running 10 years ago at about 20mph. Agreed, it isn’t yet running on steam. But Gagan’s bike ran fine, as did Roper’s and the other replicas. 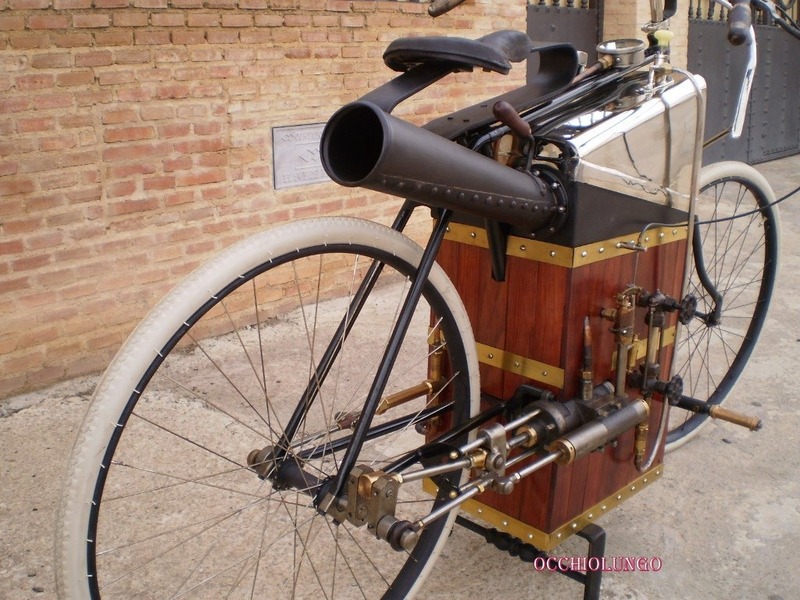 Do you see something that is missing on this bike that would prevent it from running under its own steam? Neither do I find any reason for that motorcycle work with charcoal and water. They only have shown a video of the engine connected to an air compressor. As our friend Lewis Meller says, the main challenge is the boiler and high temperature and pressure generated in it. In my opinion, it is a very nice bike flower vase.